Flexibuzz- Click here to download our communication app! 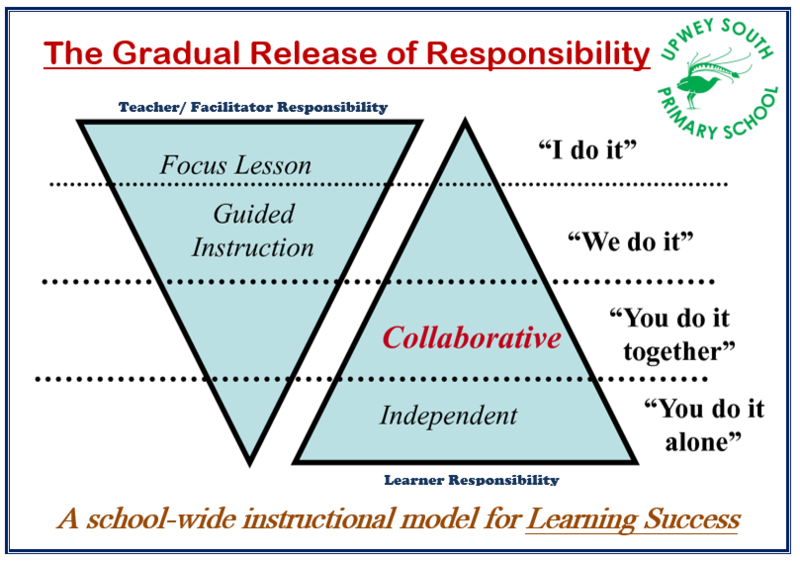 As a school focussed upon developing “instructional leadership” we have recently launched a school-wide teaching and learning model, based upon the Gradual Release of Responsibility. Click on the button below to find out more about how we learn at USPS! The Junior School Council and our School Captains have written, directed and filmed a tour of our wonderful school. We hope you enjoy it! 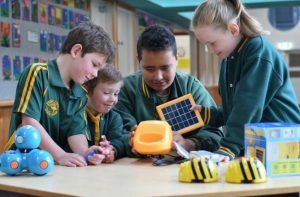 Student Wellbeing at all levels is a priority at Upwey South Primary School. If children are unhappy or worried about something they cannot learn effectively. We observe and listen to our students and we support them on a daily basis. We encourage supportive friendships and we put the welfare and safety of our students before anything else. 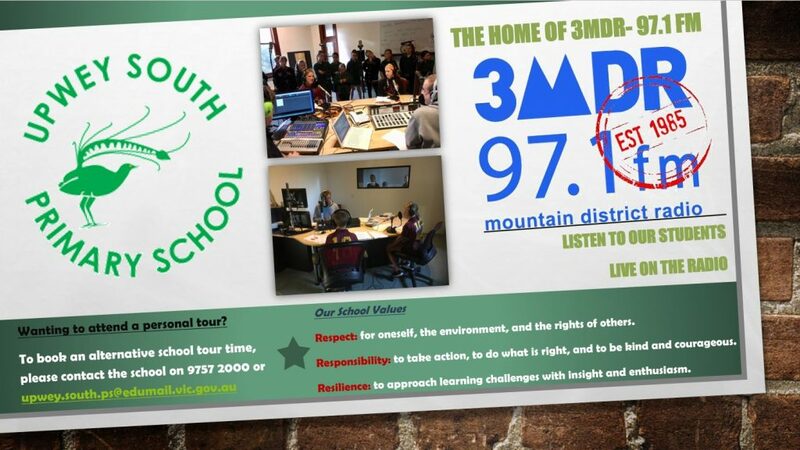 At Upwey South Primary School we are dedicated to inspiring young children to become passionate about their future. We are here to nurture our students and together with their families support them to grow into happy, well-rounded and competent young people who will be very well-prepared for life. We create opportunities for learning, leadership and personal growth through the power of education. We offer a myriad of learning opportunities for our students using the tools of exploration, instruction and experience so that they are literate, numerate, and socially, technologically and ecologically confident by the time they graduate and move on to secondary school. Our aspiration is to continue our tradition of educational excellence; to advance success patterns in all areas throughout our school and to expand our school spirit, both practically and socially, into the wider community. And finally, we will continue to champion the values of Respect, Responsibility and Resilience for all who pass through our gates.